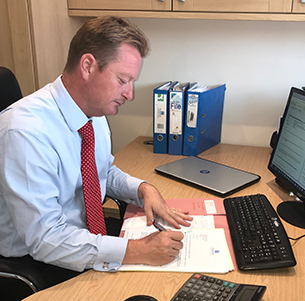 I pride myself on running a company that provides a personally tailored service which can cater for all requirements from a tax return to VAT, payroll or advice on corporation tax. Perhaps you have a bookkeeper, but need someone to finalise the paperwork, or perhaps you just want to concentrate on running your business and need someone else to deal with the Inland Revenue and Customs & Excise. We are committed to delivering quality of service and a solution which meets the needs of our clients which leads to long standing and continuing relationships.